The collection of the nation’s top high school baseball athletes will converge on Wrigley Field in Chicago this afternoon for the Under Armour All-America Game, powered by Baseball Factory. 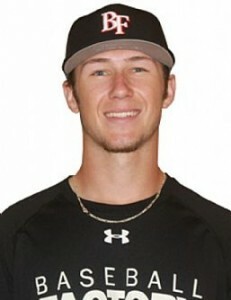 Today we highlight one of the players who will participate in the All-America Game, third baseman, Carter Kieboom. Carter was also named to the 2015 Under Armour Pre-Season All-America Tournament in Mesa, Arizona this past January. Having just finished his junior season in high school, Kieboom plays ball at Walton High School in Marietta, Georgia, and this summer, .batted 390 with 62 hits, 6 HR’s, 59 RBI, 19 SB’s and 56 runs scored for the 18 year-old East Cobb Yankees. Carter’s older brother is Spencer Kieboom, who is currently in the minor leagues with the Washington Nationals and along with Carter, both received their dual citizenship with the country of the Netherlands as younger children. Baseball Factory: Did you enjoy visiting the Netherlands? Carter Kieboom: Well, I’ve only been once, I was pretty young, so I don’t remember much about it, but my grandparents have a really old house there. My grandfather likes medieval type stuff, but its definitely different out there for sure. BF: You were able to get good looks over at third base during the player workout at UIC yesterday afternoon, does that help you stand out more? CK: For me, it doesn’t matter, I like playing every position. I know every guy wants to play SS, to me, I think I can show my ability at third, short, or second, doesn’t matter. in the game today, I’m starting out at third and will get a couple of innings at SS, so I’ll be seen there. It’s just kind of how it was, its not too big of a deal. BF: We’ve heard that you’re not only talented with the bat and in the field, but that you can also throw left-handed and right-handed. What’s the story on that? CK: I started when I was younger playing, I would always go in the cage with my Dad and any ball that went to back of cage, I would hold the bat with my right hand and throw the baseball with my left hand and I would play catch with my brothers with the football and throw it with my left hand. Over the years, I started acclimating that kind of throwing motion from the left side and got a little more serious with it when I turned 14. I got the six-finger glove and from there its kind of just been a fun thing to do, I don’t pitch much but its just a unique thing I’m able to do. BF: What do opponents think about seeing you being able to throw both left and right? CK: They don’t realize it at first, they all have a puzzled look on their face, not sure if I’m the same pitcher, they all kind of say, “here’s a new pitcher”, then they say “oh no, its not a new pitcher, its the same kid.” I mean, its pretty funny, its always fun to go out there and be able to throw both ways and see people’s reaction. 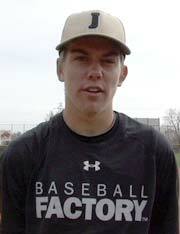 BF: What’s your thoughts on being able to play today at Wrigley Field and being an Under Armour All-American? CK: Its a one in a lifetime opportunity for me. To be on the biggest stage, I’ve always wanted to be here, its an incredible feeling and I’m real excited to go out there and have some fun; whether I go 0-4, or 4-4, either way, a lot of fun and most kids don’t get this kind of opportunity.